These purses came from four separate prints now formed into a single color print featuring the purses in an Andy Warhol style display. 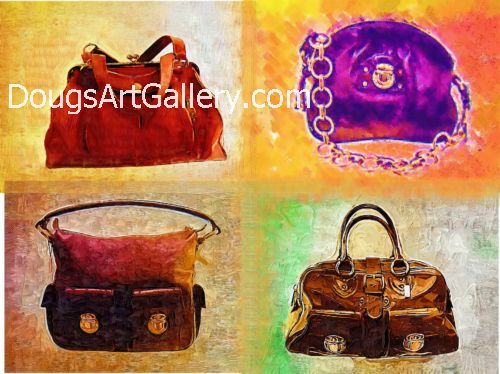 Click here to leave The Purse Forum Party for more links to artists and their online art galleries, art prints and art posters. Browse the links found at the bottom of Home Page. More Andy Warhol Art information including prints of his high heel shoes can be found on this page. Do you like The Purse Forum Party?